No matter what size business you run, one of the primary ways people will learn more about your business is through the Internet. It’s the reason why plenty of business owners invest the time needed to establish their online presence. This is all the more reason to choose a web domain that makes sense for your business. For some, this might be as easy as buying business-name.com. For others, things might be a little more complicated due to domain availability. Either way, it’s important to remember that your domain name is essential to your online branding. If you cut corners, you’re going to regret it. Below are a few reasons why your business domain name matters. The first thing you’ll want to do is discover whether your desired domain is available. This is super easy if you employ a domain finder. Just type your chosen domain (such as your brand name) into the search bar to see if it is available. If it is, you can purchase the domain, make your monthly or yearly payments and enjoy your own little slice of the World Wide Web. Simple, right? Well, what if your domain isn’t available? Fortunately, most domain finders provide a series of permutations that could work just as well. For instance, you might not be able to get brand-name.com, but you could buy brand-name.net. But is this the best strategy, really? Folks are used to typing .com. Sure, you can get by with a .net address. But it’s just not the same. Web users may even confuse your domain (brand-name.net) with an unrelated company at brand-name.com. This might hurt your digital marketing efforts and confound your would-be customers. So, what’s a better solution? Instead of just choosing brand-name-dot-whatever, try getting creative with your domain. For example, let’s say you own an ecommerce site selling bobble wobbles. Your brand name is Bob’s Silly Toy Superstore. It’s too long for customers to type the full name into the address bar; and most of the shorter versions of the domain name are taken including bobs-silly-toys.com and others. What’s Bob to do? Well, since Bob sells bobble wobbles, he may search bobblewobble.com. Lo and behold, it’s available! This is a perfect opportunity for Bob to corner the online bobble wobble market by owning the domain name for this product. Suddenly, bobble wobble ecommerce shopkeepers everywhere are kicking themselves for not being as creative and crafty as Bob. Think about how consumers find anything online. Targeting certain consumer queries and keywords, you can probably figure out a better domain name than what first comes to mind. It’s like creating a website for your personal brand called first-name-last-name.com. If you have a common name, the domain is probably taken already. But that doesn’t matter, because your name says very little about what you do. On the other hand, if you buy first-name-last-name-PR.com, folks will associate your name with public relations. This strategy works for any number of industries. Green-thumb.com taken? Why not try green-thumb-landscaping.com or even Arizona-landscaping.com. These URLs anticipate what web users are looking for (“landscaping companies” or “Arizona landscaping companies”) and puts it right in the address bar. 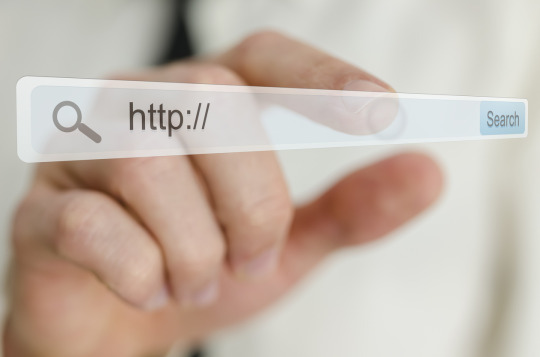 It’s a smart strategy, one you should consider and why your business domain name matters. Now that you have the knowledge, try your hand at building a website for your small business by visiting Yahoo Small Business. It’ll be the best decision you make all day!